England fast bowler Katherine Brunt has been ruled out of the entire ICC Women's World Twenty20 with a back injury. Brunt, 33, pulled up in pain during this week's warm-up clash with India Women and was unable to complete her opening over. Scans have since confirmed a pre-existing back problem has flared back up and Brunt's will be replaced in the squad by Fran Wilson. 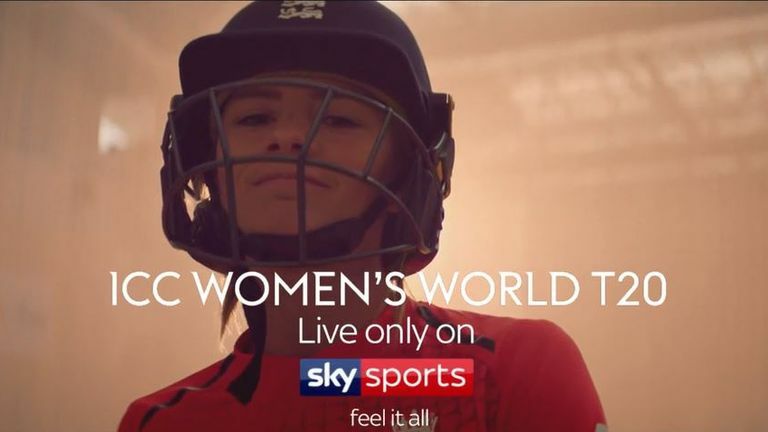 Western Storm spinner Wilson is not expected to be available for England Women's opening World T20 match against Sri Lanka on Saturday - a match you can watch live on Sky Sports from 7.30pm. England, the reigning 50-over World Cup champions, will also play hosts Windies, South Africa and Bangladesh in Group A of a tournament they won in 2009. Watch every match from the ICC Women's World T20 live on Sky Sports, with New Zealand taking on India in the opening game from 2.30pm on Friday.